40th Birthday Present Ideas... Sing A LOVE Song For Your Lover! If that soon-to-be 40-year-old is a person you love, why not learn how to sing them a song? As a 40th birthday gift, what could be more romantic than a love song - sung by the man or woman of your dreams? You may not be the best singer around and... you don´t have to be. What matters is that you took the time to learn a song that has special meaning for your guy or gal. And that is where I can help you! 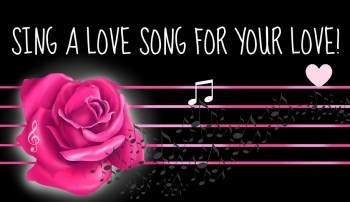 My SING A LOVE SONG TO YOUR LOVER package is 3 carefully-planned online singing lessons that will ease you into preparing and singing the song you have chosen. Not sure what to sing? Let's talk about it! I will suggest a song for you that will suit both your voice and the occasion. 40th Birthday Present Ideas - That Will Bring A Joyous Smile To Her/His Face! The "Sing A LOVE Song For Your Lover!" Special Online Lesson Package offers you 3 half/hour lessons at the very reasonable price of $79.99 U.S.
Each session is carefully crafted to help you be at your personal best by the end of the 3rd lesson. This does not mean that you will suddenly be a professional singer! But with a little work and enthusiasm on your part - (and you WILL be excited about this rare gift you are giving) - you will sing with heart and soul to the great delight of your loved one. Barbara Lewis at Montreal´s Upstairs Club. I wish you great and heartfelt singing that gives real joy to your beautiful 40-year-old!